Keep in touch with WONKS! Subscribe to our newsletter below to be informed about upcoming shows, panelists, as well as special guests and events. We'll keep it short, one update a month, roughly a week before each show. From time to time we'll also send out a notification or two about special upcoming events. You should receive our welcome email shortly. We have another great show for you this coming Monday, June 25th at Noce Jazz Cabaret. The topic is “Sports & the Media … and Some Politics” and you are the first to know some news about our panel. Because you are a subscriber, I want to let you know our panel grew by two members just a few minutes ago. When it comes to sports in central Iowa, these two individuals are at the top of the list. Natasha Kaiser-Brown flew around high school tracks as a student at Roosevelt High School in Des Moines. She continued to break records and turn heads as a student at the University of Missouri, where she is the most decorated female athlete in Mizzou history. She won silver at the 1992 Olympics in the 4x400, and collected gold in the same event at the World Championships the next year. After serving as Drake University Track & Field head coach for 15 years, she assumed a coaching role at Mizzou in 2016. Brian Brown was the director of the Drake Relays for 11 years until he left for Missouri to become Assistant Director of Athletics. He changed the already popular “America’s Athletic Classic” into an even bigger world-class competition, where Olympic and world champions rubbed shoulders with middle and high school athletes. The Relays went under the lights and in front of coast-to-coast TV audiences. 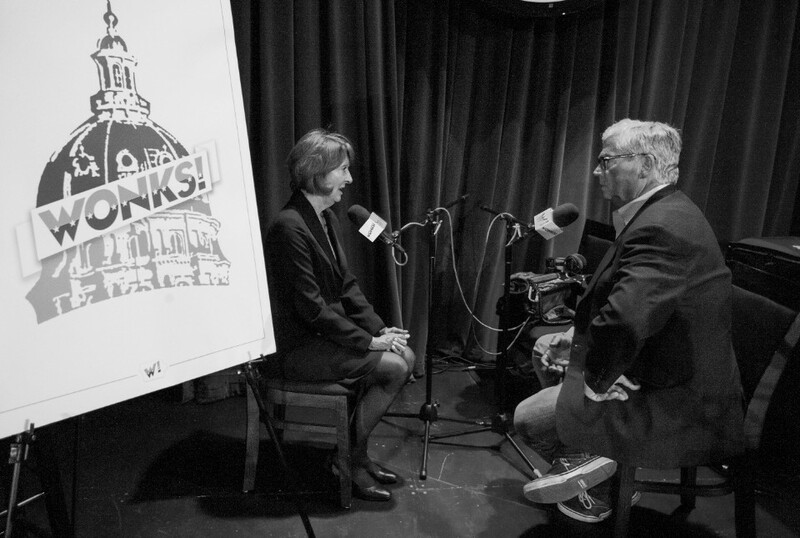 Natasha and Brian are the icing on the cake for the latest WONKS! They will be joined by WONKS! alumnus Michael Gartner, owner of the Iowa Cubs and a Pulitzer Prize-winning editorialist who was a guest on our “Politics & the Press” show; Drake Basketball legend Adam Emmenecker; KXNO’s Heather Burnside; and KCCI Sports Director Andy Garman. And as they say on late-late-night TV … BUT WAIT! THERE'S MORE! Secretary on the phone: Hey boss, I have good news and bad news. Athletic Director: Well, give me the good news first. Secretary: Well, I was just told you’re going to be on the front page of the paper! Athletic Director: Okay that sounds cool … so what’s the bad news? Secretary: Tom Witosky is waiting to see you. 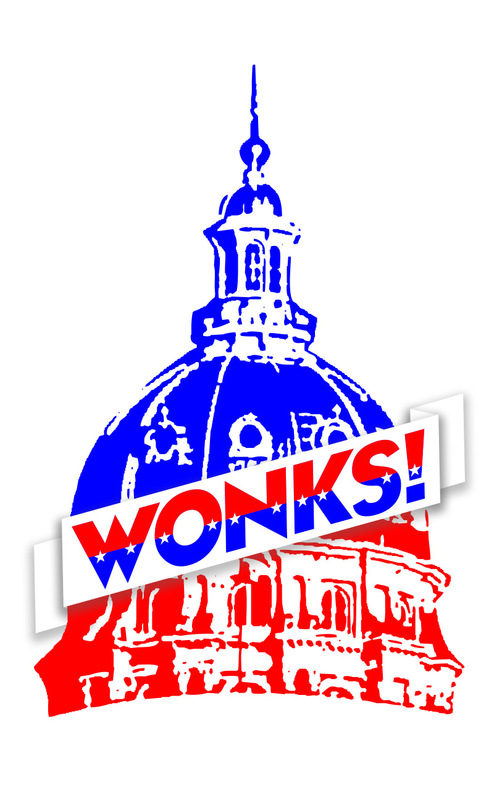 Here's some more good news - you're invited to join us for the next WONKS! Doors open at 6pm, WONKS! starts at 7:05! Our post-show chats with panelists are a quick and fun way to get to know some of the key players in Iowa politics. Some of our latest profiles: Bonnie Campbell, O. Kay Henderson & Ann Selzer, Mary Kramer, and more! 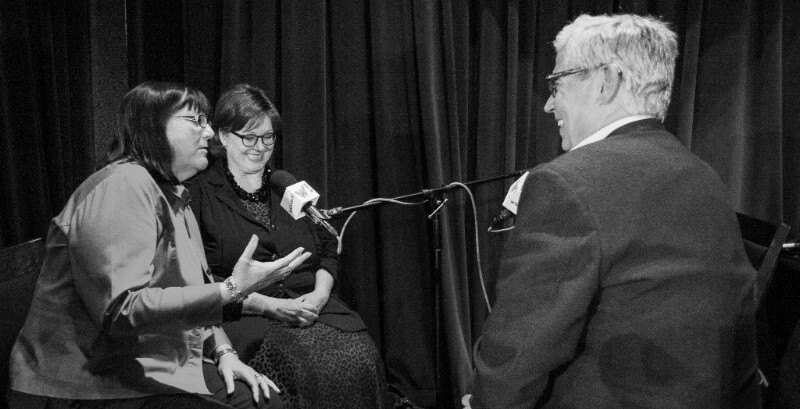 Listen to the May show: "Women & Politics"
A former president of the Iowa Senate and former Iowa Attorney General join two experienced political campaign experts to assess the past, present, and future of women in Iowa politics. With Mary Kramer, Bonnie Campbell, Melissa Gesing and Jessica Vanden Berg! Veteran reporter O. Kay Henderson and nationally recognized pollster Ann Selzer join in. Recorded live at the Noce Jazz Cabaret in Des Moines. If you’d like to subscribe to our monthly newsletter, click here. And if you’d like to share a thought, opinion, suggestion or criticism click here. We may use your comments in our newsletter and attribute them to you. Copyright © 2018 Iowa WONKS! All rights reserved.